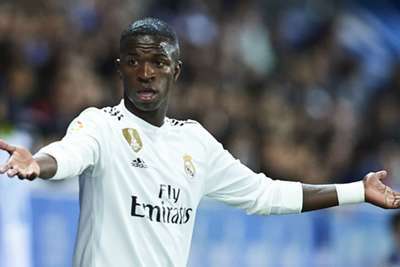 Vinicius Junior is not overly concerned by his lack of playing time at Real Madrid, understanding there is plenty of time to establish himself. The Brazilian, 18, joined Madrid from Flamengo in a €45million deal in July, but he has featured only twice in LaLiga - from the bench on each occasion - for the European champions. However, Vinicius, who spent the international break with Brazil Under-20s, is pleased with how his move is panning out. "I have a calm head because I have only just arrived," he said, as quoted by Marca. "I am happy with the group, which is really good, and I hope to train to be able to help the team. "There was nothing better than being able to make my debut at the Santiago Bernabeu. "It's always good to play with the best in the world. Playing for Real Madrid is priceless. It's a childhood dream that I always wanted to fulfil."